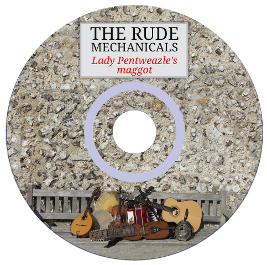 The CD is now available at all Rude Mechanicals appearances. Great value at £10 if bought in person from the band, or £12 by mail order. For mail order, please email here, giving a postal address for delivery. We'll then email you a link for easy PayPal payment.